This Dell EqualLogic power supply, 0967011-03, RS-PSU-450-4835-AC-1 & 30FFX, is compatible with the PS3000, PS5500, PS6500 & PS6510 model arrays. Whether you’re upgrading your Dell EqualLogic storage system or simply looking for a replacement power supply, we have what you need. If you don’t see the part listed that you’re looking for, please use our Contact Us form; as we have many parts in inventory that are not listed. Please note that all Dell EqualLogic power supplies, systems and parts are used / refurbished, and backed by a 60 day warranty. The Dell EqualLogic power supply for the PS5500, PS6500, PS6510 goes by part numbers 0967011-03, RS-PSU-450-4835-AC-1 & 30FFX. 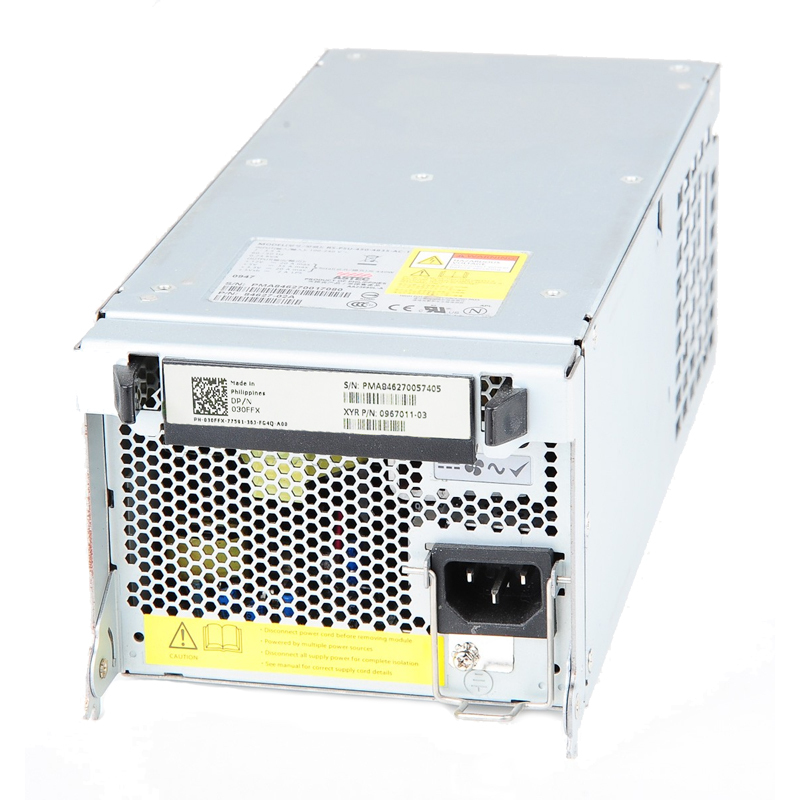 EqualLogic parts 0967011-03, RS-PSU-450-4835-AC-1 & 30FFX are all a 450W, hot swappable power supply. Needed a replacement for a failed unit. Wasn’t sure about buying used, but everything worked great. Thanks!